Asus Republic of Gamers has officially launched in Romania the world’s thinnest gaming laptop Zephyrus S (GX531) which is just 14.95 mm – 15.75mm thick with Intel Core i7-8750H NVIDIA GeForce GTX 1060. There are impressive visual effects on a super-slim frame: a refresh rate of 144Hz and 3ms response time for fluid games and perfect graphics. ROG Zephyrus series is a new benchmark for ultra-thin gaming laptops. The ultra-slim frame fits a 15.6-inch diagonal screen and the casing is similar in size to that of a 14.2-inch model. Completely metallic, it is durable enough to meet unwavering military standards of durability, with fluid lines and premium finishes. An advanced cooling system ensures optimal performance for all components, incorporating the owner of the Active Aerodynamic System (AAS), a Zephyrus engine design and design attribute. One of the greatest challenges in designing such a slim laptop is to achieve a balance between strength and weight: Zephyrus S uses an aluminum and magnesium alloy in its construction to achieve this balance. Each cover is meticulously fabricated from a solid aluminum block. This precise process, performed on CNC machines, requires five steps and nearly 72 minutes of machining for details that ensure perfect fit, creating a cap that is remarkably rigid and slim at the same time. The Zephyrus S case also remains durable: pre-production samples already meet military standards of durability for shocks and vibrations. Contrasting finishes accentuate the design of the cover, with color accents being obtained through two anodizing phases, while the surgical cuts separate the concave textures. Similar lines cut the surface above the keyboard, giving the Zephyrus S a distinctive style. Scissor hinges keep a low profile until the laptop is opened, displaying the screen opening the Zephyrus single vent. The ultra-slim frame allows a 15.6-inch screen to be mounted in a 14.2-inch-long portable housing. This reduces the entire footprint, allowing the Zephyrus S to fit into a smaller space than its predecessor. With the original Zephyrus, ASUS worked closely with the AUO panel manufacturer to ensure that ROG laptops have the best gaming screens available. The 120Hz version of the original version doubles the refresh rate of conventional screens, while Zephyrus S pushes the refresh rate to 144Hz and reduces blurring and shading by reducing the response time to 3ms. Built for performance beyond speed, the IPS AHVA panel has excellent image quality. Cooling critical components from Zephyrus S was a real engineering challenge due to ultra-slim design, but it was imperative to ensure peak performance. ASUS and ROG engineers have developed the innovative Active Aerodynamic System (AAS) for the original Zephyrus. When the laptop cover is raised, a special ventilation space opens under the housing to let the laptop absorb more air. Similarly, the ventilation hole measures 5mm on Zephyrus S, stretching across the entire back surface to improve airflow by 22 percent compared to traditional design. An additional airflow comes through the keyboard and the advanced keyboard position leaves more room for additional system cooling. Inside the case, Zephyrus S contains five heat pipes that take heat away from the processor, the graphics accelerator and the VRM circuit that feeds them. The processor and accelerator are connected to both common radiators and dedicated ones to provide efficient cooling for any workflow, and power components are below 80 ° C to improve long-term reliability. Heat energy is channeled along the heat pipes to four fans and vent holes in the rear corners, twice as many as the first Zephyrus. Keeping cleaner radiators is the key to maintaining cooling performance, which is why the design team has added self-cleaning fans to expel indoor particles through anti-dust tunnels. This special function prevents accumulations on the blades, ensuring consistent cooling and long-term stability. The 12 V AeroAccelerator dual fan has 83 laps each, with 17 percent more blades than the original Zephyrus. The airflow is improved by the design of the fan aluminum housing, which has rounded edges and raised rods to help channel a larger amount of air into the fan. Rotational speeds are determined by a smart algorithm linked to the three profiles. Keyboard shortcuts allow users to switch between “Overboost” for maximum gaming performance, “Silent” silent mode, and “Balanced” mode to maintain a balance between the two. Integrated RGB lights allow users to customize their preferences or find the perfect atmosphere for the ongoing game. Four independent zones illuminate the keyboard, and additional LEDs create a subtle pulse under the ventilation holes. Aura Sync coordinates colors and effects with compatible peripherals, such as the ROG Delta headphones and the Gladius II Origin mouse, making it easy to customize the entire system with a few clips. Third-party applications can leverage the Aura SDK, and ROG works with developers to embed support in games and applications. The application formerly known as ROG Game Center is now called Armoury Crate and unifies ROG hardware under a single utility that simplifies access to essential features. System settings and Aura Sync lighting are easily adjustable on the go, and users can define preferences for both, with up to four profiles, which automatically adjusts when the selected games are loaded. Crate Armor comes with an Android and iOS Dashboard, many other features to be added to future updates. Although the positioning of the Zephyrus S keypad front first improves cooling, it also allows for a better desktop writing style. Overstroke takes over the push-control quickly for a prompt response, and the 1.2mm stroke improves the overall tactile response. The durable switches are estimated at 20 million times, so it can withstand intense use, while “N-key rollover” ensures that each press will be recorded accurately, no matter how many keys are pressed simultaneously. Zephyrus S includes an enhanced sound system. The dual front speakers integrated in the hinge cover are powered by smart intelligence technology that keeps the temperature and movement limits so the volume can reach higher limits without distorting or damaging the membrane. Sonic Studio III adds virtual surround sound for extra depth when using stereo headphones and benefits from the new APO injection capabilities that extend speaker virtualization for a wider range of equipment, including standard analogue headphones with USD headphones, external DAC converters and devices VR. The Intel Core i7-8750H processor from Zephyrus S is supported by 2666MHz DDR4 fast memory and NVMe storage, while the Wi-Fi 802.11ac Wave 2 module connects compatible wireless networks at higher speeds than gigabit1. 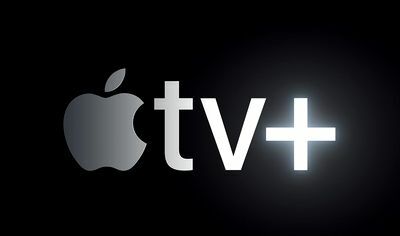 The USB 3.1 Gen 2 Type-C (USB-C) and HDMI 2.0 ports support monitors and large-screen TVs, offering the possibility of expanding the image on two auxiliary screens. Several USB ports are essential for gaming peripherals and ultra-slim external storage, and the three 3.1 Gen 2 Type-A USB ports offer additional bandwidth for compatible devices. Zephyrus S is capable of running intense workflows in the same way they do in resource-consuming games. The 8th-generation Intel Core i7-8750H processor offers six cores and twelve parallel threads and can easily handle demanding workflows such as compiling, rendering, and creating content. Supplemental kernels provide the necessary multitasking reserve, allowing for a mix of live gaming, gameplay recording, and other tasks. GeForce 10 series video accelerators increase performance in applications that support GPU acceleration. More importantly, the graphics chip can offer a three-digit number in popular games, allowing for optimal screen use. 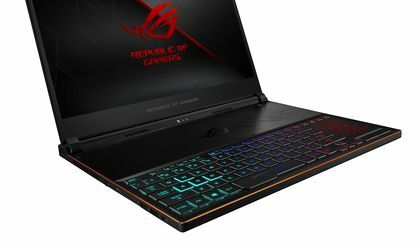 ASUS ROG Zephyrus S (GX531) is available in Romania at a price of approximately RON 9,500 (including taxes) in the GX531GM-ES005T configuration with 16GB RAM, SSD 512GB and NVIDIA GeForce GTX 1060 6GB.